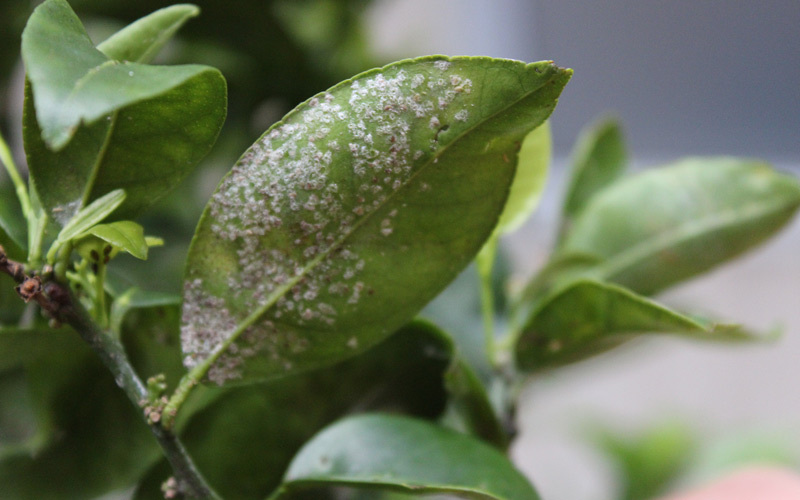 There are 2 main species present in New Zealand, Greenhouse Whitefly (Trialeurodes vaporariorum) and Citrus Whitefly (Orchamoplatus citri). 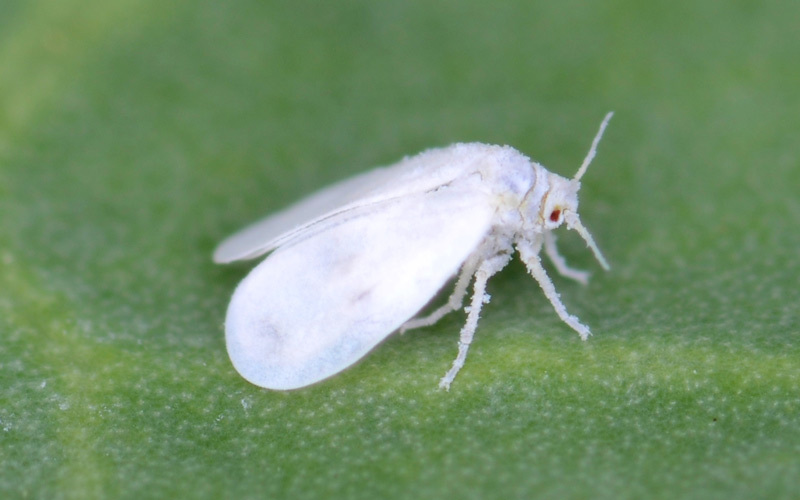 Whiteflies are small white sap sucking insects 1-2mm in length that resemble miniature moths with a wingspan of around 3mm. Both the nymphs and the adult insects are sapsuckers. 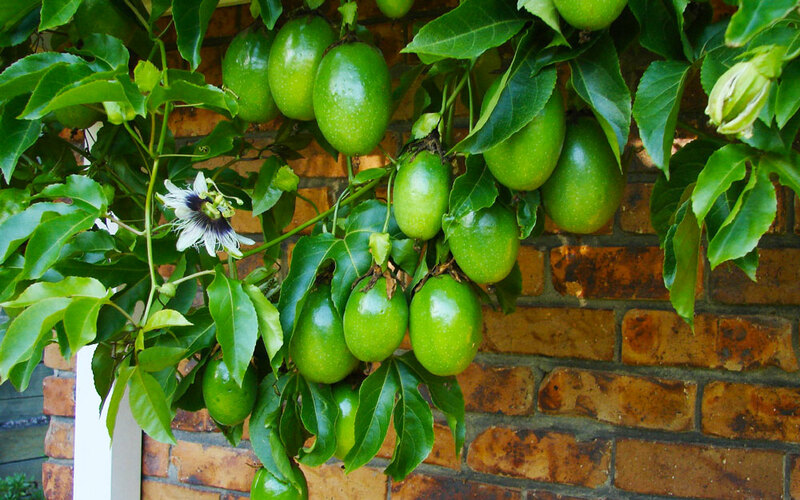 Their feeding can harm the vigour of the plant, and help spread disease. 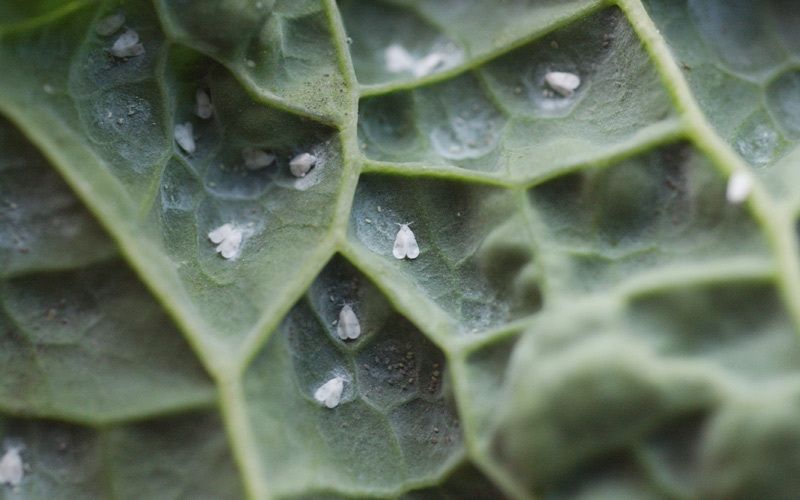 As they feed they excrete a sugary substance (honeydew) and if left can allow sooty mould to grow on the leaves. 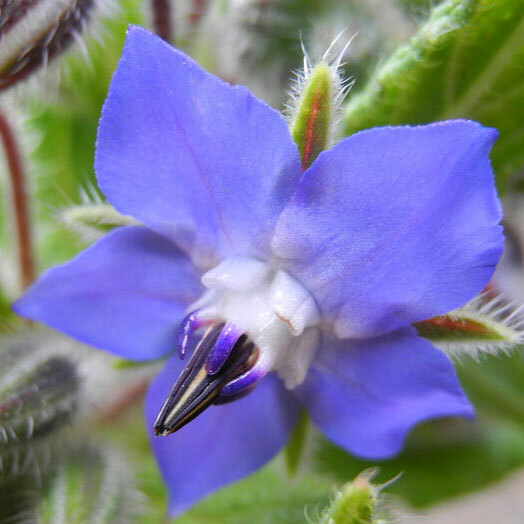 During warmer periods they can breed prolifically. 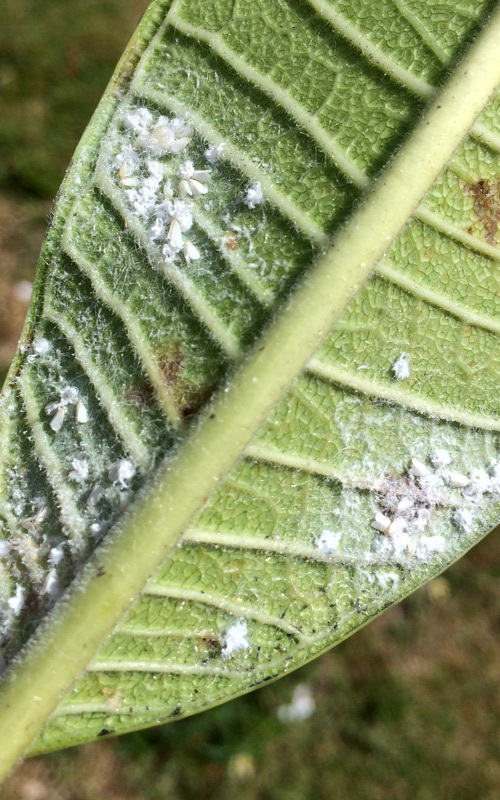 The female whiteflies lay their eggs on the underside of a plants upper leaves. After 4-12 days the eggs hatch into crawling, sap-sicking nymphs. 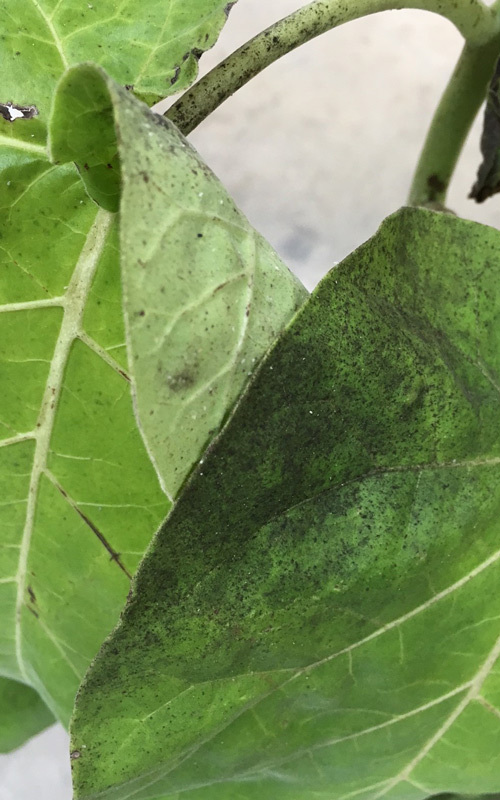 Nicotiana (an attractive flower) is believed to attract whitefly and can be grown as a sacrificial plant or to serve as an early warning of their presence. 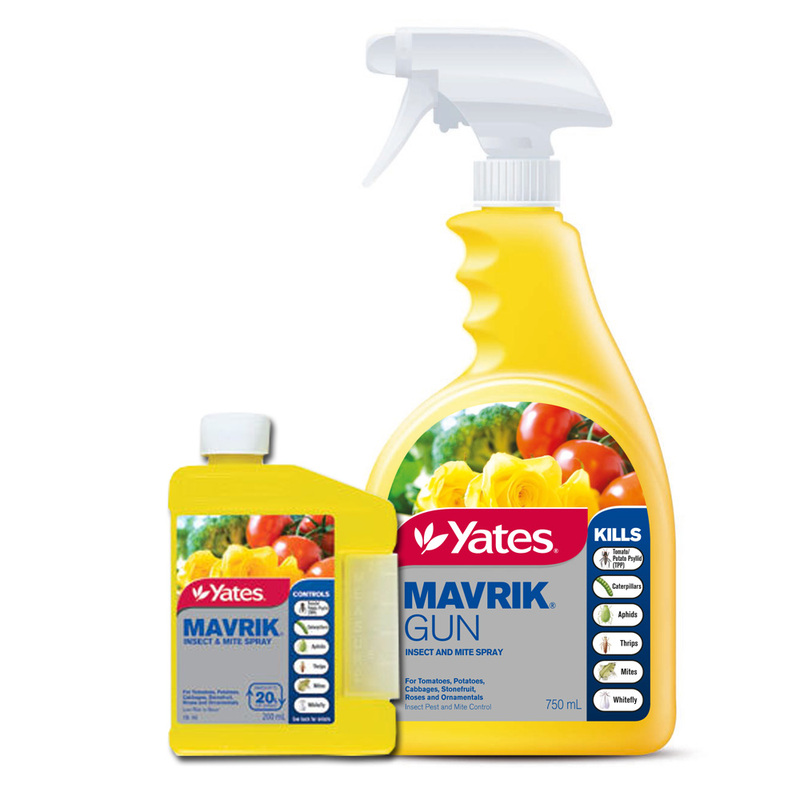 Spray with Mavrik. Repeat spraying twice in one week. Follow up spraying may be required in some circumstances. Where possible, spray in the evening to avoid affecting beneficial insects. 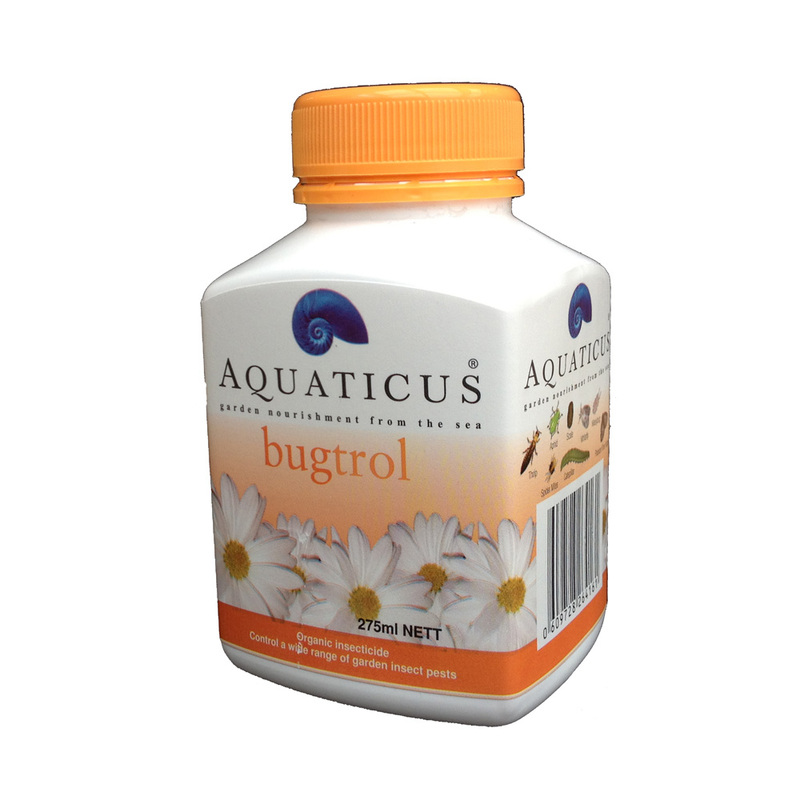 Spray affected plants with Bugtrol, a highly effective organic insecticide. 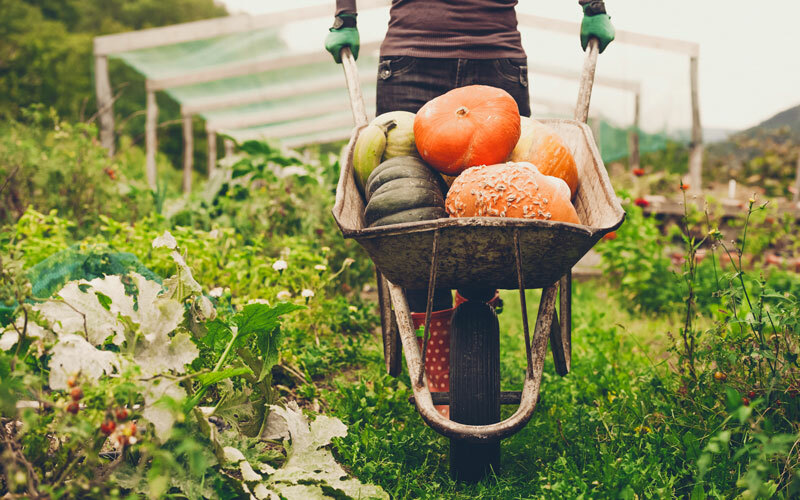 Spray the plant thoroughly, drenching the tops and bottoms all the leaves, twice in one week. If you spray this effectively dealing with whitefly should be easier as the eggs are smothered by the oil contained in this spray. Follow up spraying may be required in some circumstances.